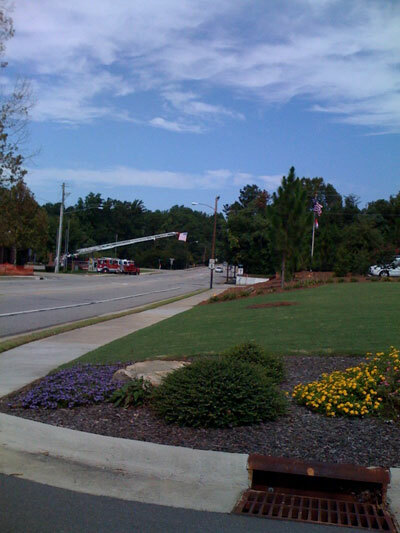 The Southern Pines (North Carolina) Fire Department raised a flag in memory of those who lost their lives in the attacks on 9/11/2001. I pulled over to take a picture. The flag hangs on the end of a ladder, which is extended out over Pennsylvania Avenue, near US 1.